Sipping tea has been a common way to relax for hundreds of years in numerous cultures. However, for most of that illustrious history it was the official form of tea that is packed with both antioxidants and caffeine. If you’re a fan of hot drinks but can’t handle the caffeine anymore, switching to an alternative like mint tea is a great way to protect your health. The types of tea falling until this wide umbrella all offer special medicinal benefits in addition to tasting great. What Are The Different Types Of Mint Tea? Spearmint, with a fresh and clear flavor missing the sharpness of other varieties. The Nana type is what gives famous Moroccan tea its signature flavor. Peppermint, which features a sharper and more powerful flavor. Mojito mint, a hybrid combining high menthol oil levels with a spicy herbal note similar to oregano. Doublemint, the combination of spearmint and peppermint in an herb blend or a special hybrid that combines the two in one plant. Sweet mint, a milder variety with a warmer taste. Apple, pineapple, ginger, orange, and chocolate flavored types for even more fun. What Are The Common Benefits Shared By All Mint Types? Despite all the differences in flavor, spiciness, and intensity, these various mints all share a common parent plant. The medicinal value of the various culinary and cultivated mints are shared across all of them. 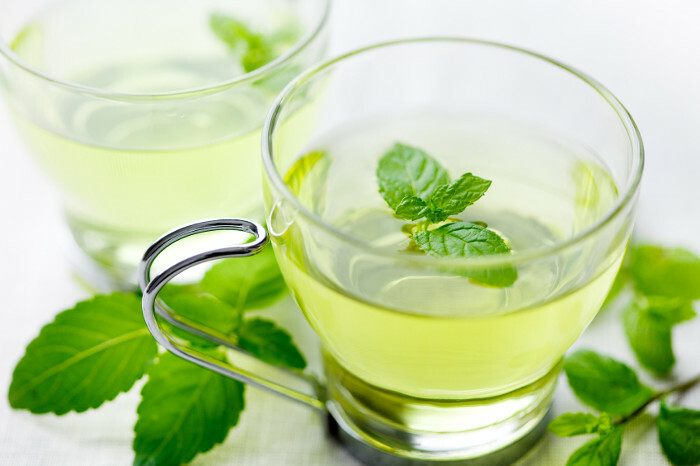 Mint tea is most commonly used for an upset stomach or mild indigestion. There is limited evidence than the menthol and other oils in the leaves soothe stomach cramps and improve digestion. However, don’t use this herb for acid reflux or GERD since the oils can irritate the damage in your esophagus instead of soothing it. Other people choose to drink it to treat bad breath, relieve the pain of a sore throat, or settle a mild headache during a detox. How Can I Grow And Harvest My Own Mint? Mint is one of the easiest herbs to grow in a home garden or pot. Don’t plant it in the ground, but rather a container lined with mesh to keep roots from escaping. This plant is known to spread quickly and take over. Start with a bushy plant from a nursery instead of seed for faster results. Give the plant plenty of water two to three times a week, and start harvesting the leaves as soon as the plant is nearly a foot tall, or wide if it sprawls. Dry the leaves in a dehydrator, microwave oven, or in a paper bag. What Side Effects Are Caused By This Tea? Aside from irritating acid reflux disorders, this tea causes very few side effects. If you’re allergic to the oils in the plant, you’ll notice a hot feeling known as flushing. Your skin might turn red and clammy as well. 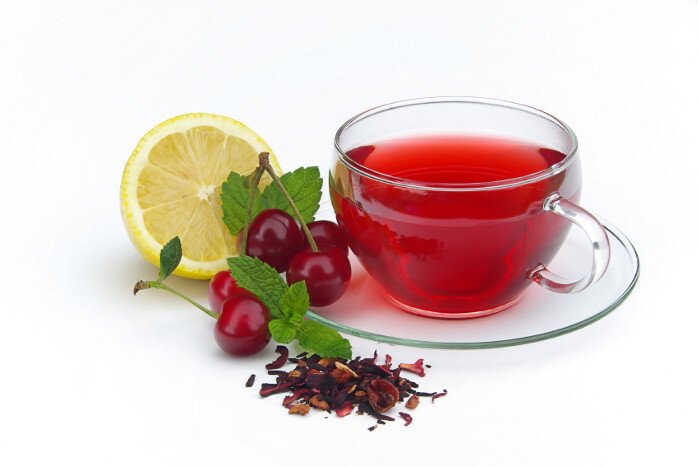 Mouth sores can develop when you drink too much of this tea on a daily basis for a few weeks. It’s also best to limit your use of this herb during pregnancy, but it’s perfectly safe to enjoy a cup or two of the drink to deal with pregnancy related nausea or indigestion. How Do I Make Mint Tea The Right Way? There’s no need for a recipe to enjoy this hot drink. Simply add a tea bag or a generous pinch of the dry leaves to a cup of water a few degrees under the boiling point. Give the tea between three and five minutes to soak, then remove the leaves and enjoy your tea with or without sugar. Which Other Teas Taste Good When Mixed With This Herb? After you enjoy plenty of cups of plain mint, you can get creative and start blending your own flavors for fun. Mint goes particularly well with green tea, which is the classic Moroccan blend. It also adds freshness to a deeper black variety. If you want to stick with herbs only for medicinal reasons, start with chopped dry lemongrass. Lemon balm also works while increasing the mood lifting power of your drink. Boost the citrus further with lemon or orange peel, or even the bergamot used for flavoring Earl Grey. Aside from citrus notes, consider rose hips and hibiscus. The tropical flavors dance playfully with the soothing taste of the mint to create a cooling effect that is perfect for hot days.